Costa joins recent Gatorade New Jersey Boys Soccer Players of the Year Christiano Francois (2011–12, St. Benedict’s Prep. ), Dan Metzger (2010–11, Holmdel High School), Jon Aguirre, (2009-10, Madison High School), Rafael Diaz (2008–09 Morris Hills), Matt Kassel (2007-08, Bridgewater-Raritan), and Brayan Martinez (2006-2007, West Orange) among the state’s list of former award winners. CHICAGO (February 19, 2013) — In its 28th year of honoring the nation’s best high school athletes, The Gatorade Company, in collaboration with USA TODAY High School Sports, today announced Brian Costa of Pingry School as its 2012-13 Gatorade New Jersey Boys Soccer Player of the Year. Costa is the first Gatorade New Jersey Boys Soccer Player of the Year to be chosen from Pingry School. 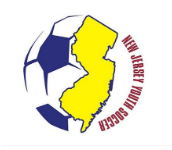 The award, which recognizes not only outstanding athletic excellence, but also high standards of academic achievement and exemplary character demonstrated on and off the field, distinguishes Costa as New Jersey’s best high school boys soccer player. 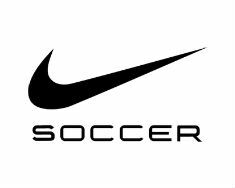 Now a finalist for the prestigious Gatorade National Boys Soccer Player of the Year award to be announced in May, Costa joins an elite alumni association of past state award-winners in 12 sports, including Abby Wambach (1997-98, Our Lady of Mercy, N.Y.), Derek Jeter (1991-92, Kalamazoo HS, Mich.), Candace Parker (2001-02, Naperville Central HS, Ill.), Alexi Lalas (1987-88, Cranbrook HS, Mich.), Heather O’Reilly (2001-02, East Brunswick HS, N.J.) and Mark Sanchez (2004-05, Mission Viejo HS, Calif.). The 5-foot-8, 143-pound senior defensive midfielder scored two goals and passed for two assists this past season, leading the Big Blue (17-2-4) to the Non-Public Class A state championship game. A two-time All-Somerset County First Team selection, Costa was the No. 123-rated recruit in the Class of 2013 by TopDrawerSoccer.com. Costa has maintained an A average in the classroom. He has volunteered locally as part of a fundraising campaign to benefit leukemia research, as a peer mentor and with the Special Olympics. "Brian Costa is the type of player that after the game you ask, ‘Who was that kid?’" said Rick Szeles, head coach of Bridgewater-Raritan High. "He can play any field position and has great skills and field presence. He leads by example, demonstrates great sportsmanship and has a great work ethic." Costa will attend Princeton University this fall, where he will play soccer. The Gatorade Player of the Year program annually recognizes one winner in the District of Columbia and each of the 50 states that sanction high school football, girls volleyball, boys and girls cross country, boys and girls basketball, boys and girls soccer, baseball, softball, and boys and girls track & field, and awards one National Player of the Year in each sport. The selection process is administered by the Gatorade high school sports leadership team in partnership with USA TODAY High School Sports, which work with top sport-specific experts and a media advisory board of accomplished, veteran prep sports journalists to determine the state winners in each sport. www.gatorade.com/poy.